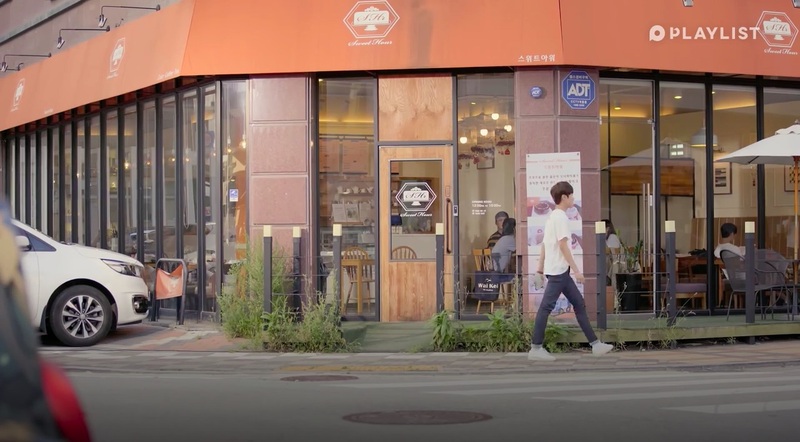 This is where the group of friends in web drama A-Teen/Eighteen (에이틴) (Playlist Studio, 2018) gather in episode 14 to discuss about their mini-getaway. Partway during their discussion, Ha Min (Kim Dong-hee) takes a phone call, and eventually excuses himself to attend a family lunch. 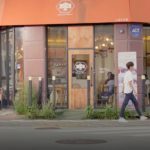 Sweet Hour [스위트아워] is a dessert cafe located in Namyangju’s neighborhood of Byeolnae-dong [별내동]; about 1.5 hours away by public transport from Seoul. Getting here seems to be quite a stretch — one journey variation is to take the subway to Hwarangdae station (화랑대역), Seoul subway Line 6. From Exit 1, locate the bus stop ‘화랑대역1번출구 정류장’ and take the village bus 82A (마을버스 82A) for 17 stops to Hwaseong Plaza.Cafe Street bus stop (화성프라자.카페거리 정류장). Then, it’s about an 8 minute walk in.